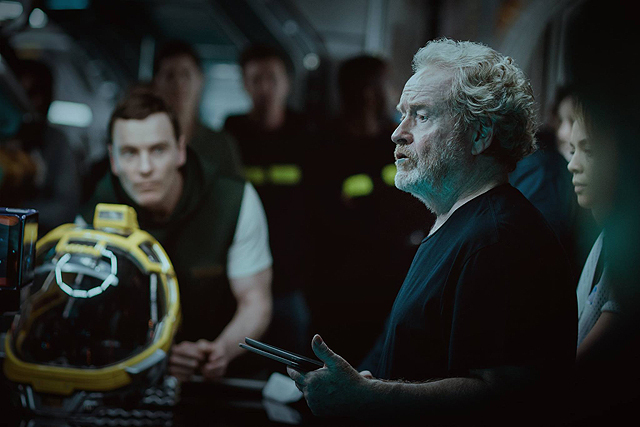 One of the most anticipated franchise movies of next year is 20th Century Fox and Ridley Scott’s prequel-sequel Alien: Covenant, and during an exclusive chat with star Michael Fassbender for Assassin’s Creed today, we asked him how his new android role Walter differs from the nefarious antics of Prometheus‘s David, who also shows up for the new film. It sounds like Walter has more in common with a helpful robot like Bishop from Aliens as opposed to Ian Holm’s “twitchy” Ash in Scott’s original Alien. The logical aspect might also give him a kind of Spock-like demeanor, but we’ll have to wait and see if some other fundamental flaw will show itself in Walter. Michael Fassbender stars in the film along with Katherine Waterston (Inherent Vice), Danny McBride (Eastbound & Down), Demián Bichir (The Hateful Eight), Jussie Smolett (Empire), Amy Seimetz (Upstream Color), Carmen Ejogo (Selma), Callie Hernandez (Machete Kills), and Billy Crudup (Watchmen). Noomi Rapace is also expected to reprise her role as Dr. Elizabeth Shaw, and James Franco will have a role as the Captain of the title ship.